Design and development of Overgas corporate blog. The blog aims to interact with the target audience on a more personal level. It is used by Overgas to announce new products, services, campaigns, internal and external events as well as to share employees’ expertise. Thus it deepens the relationship with current customers keeping them up-to-date with company’s activities. 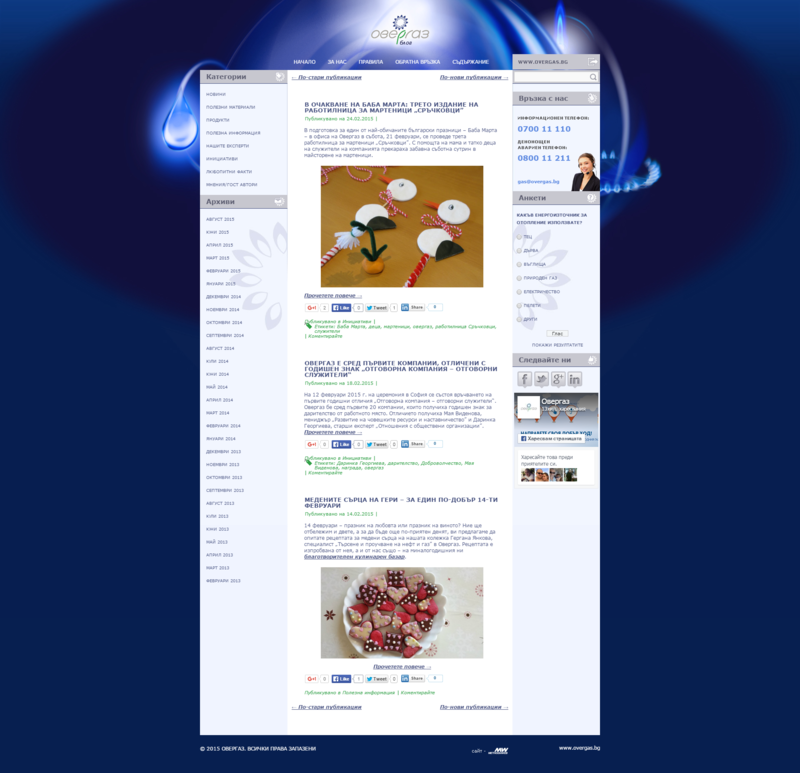 The corporate blog also serves as a great information hub and is used to attract potential customers. The blog has a mobile version as well.